This topic contains 7 replies, has 3 voices, and was last updated by John C. Harris 2 years, 1 month ago. Would you like to build CLC’s Teardrop Camper, but you’re apprehensive about doing it solo? Or lack a temperate shop space? 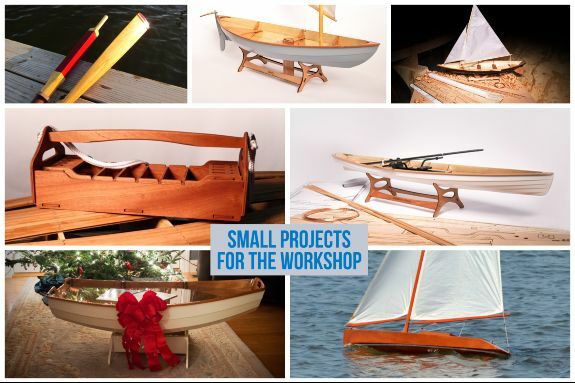 In 2017 we will offer build-your-own classes here at the Chesapeake Light Craft factory in Annapolis Maryland. Classes run for two consecutive weeks, in two 5-1/2-day segments. At the end of the class, you’ll have an assembled camper shell, bolted onto a trailer ready for road travel. At home you’ll do the final finish-sanding and coating, and add a galley and storage box if you want. While not ready to LIVE IN at the end of two weeks, all of the major assembly tasks will be complete on your Teardrop Camper. The cost is $5500. The Build-Your-Own-Teardrop-Camper class is a package deal, and includes tuition, the base Teardrop Camper kit, and a pre-assembled Trailex trailer designed specifically for CLC’s Teardrop. Continue reading about the classes and submit your feedback here . . . This topic was modified 2 years, 3 months ago by clcboats. Hoping to be included in the June class. When will we know if/when we can register? Will our trailers have the 12″ wheels? Is lunch provided or are we on our own? I will be driving from Minnesota. Anyone want to form a sightseeing group for the off hours? >>>When will we know if/when we can register? Within the next week. We’ve had enough feedback to narrow down a date. Not 100% yet, but trending towards June 12-24 with May 22-June 3 running a close second. Yes, the supplied trailers will have 12-inch wheels. >>Is lunch provided or are we on our own? We haven’t provided lunch in the past. Given enough interest we could offer that as an option. Either way, CLC is minutes from dozens of eateries. Just signed up for the class. Super excited. What size spring clamps (2 inch?) and c-clamps should we be bringing? Will we get a chance to discuss the electrical components in class? Can I purchase the accessories (galley, vent, fan, roof racks, etc) at the class – or should I have them shipped home? Sorry. Another question: Can we substitute 6″ bar clamps for c-clamps? I have much more use for bar clamps versus c-clamps. >>>What size spring clamps (2 inch?) and c-clamps should we be bringing? We have a couple hundred of those spring clamps in the classroom so we’ll be able to bolster your collection during the class to some extent. In broad terms. As we say in the manual, tutoring builders on how to engineer a 12-volt electrical system is quite beyond our purview. >>>>Can I purchase the accessories (galley, vent, fan, roof racks, etc) at the class – or should I have them shipped home? You can get all of that while you’re here. Three of five spots taken as of this writing. Great video of the camper. Started sharing with friends/family on Facebook. Will we be able to paint the bottom of the camper – similar to the video/manual during class? The less I need to remove the body from the trailer – the better. Studying the syllabus, I’m going to say “no.” Maybe we’ll get that far ahead, but we’re going to concentrate on high-quality joinery.